To ensure student employability and the progression of innovation management capabilities by aligning the content of education with the business’ needs through the development of new integrative pedagogical approaches. To prepare the 21st century manager by providing students the knowledge and skills necessary to adapt to the complex and fast evolving corporate environment of today and tomorrow. 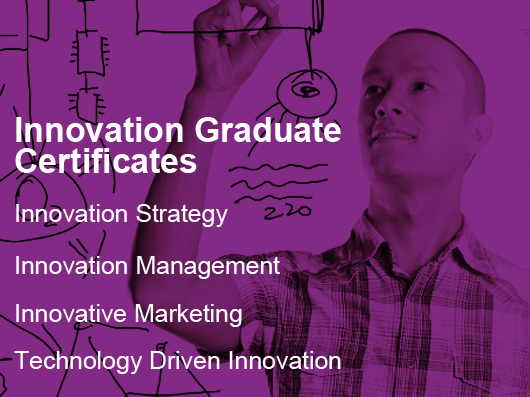 To commit our organizational efforts into delivering creative thinking, innovative resourcefulness, curiosity, open mindedness, critical thinking, interdisciplinary and experiential learning capabilities. The objective for any business is to sustain and grow their activities. 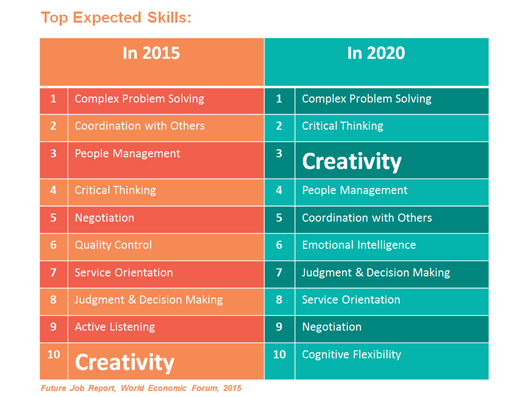 Critical Thinking & Creativity in 2nd and 3rd position for most wanted Skills in 2020! 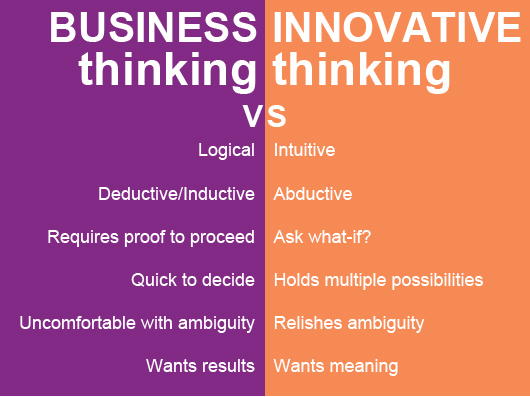 What Leaders Need Now Is Innovation Leadership!! !